Motorola Moto E5 Plus has finally been launched by the tech giant, this is coming just months after the Moto E5 was unveiled as well. Apart from the bigger battery capacity, the E5 Plus comes with other advanced features. It’s 18:9 screen stretches up to 6-inch, giving users a bigger bezel-less display. The midrange smartphone now has 32GB internal storage space, 3GB RAM and runs on the latest Android 8.0 Oreo as well. Want to know more? Stay with me. What is Motorola Moto E5 Plus Price and Availability Status? The E5 Plus looks exactly like the E5 but only bigger, the Aluminium Alloy overall unibody reflects light beautifully. Just like its little brother, it offers a sleeek and comfortable grip when held. The Motorola logo doubles as the fingerprint scanner as usual. While the bigger circle at the top houses the rear camera and LED flash. The device measures 9.4mm in thickness, which is about 0.37-inch. Which can be attributed to its massive battery capacity. It weighs 196.6g and available in Black, Flash gray, Mineral blue and Fine Gold. Plus versions are known for coming with bigger display screen, but the E5 Plus doesn’t just have a bigger screen its bezel-less as well. Dishing out an 18:9 aspect ratio and stretching as wide as possible, with extremely narrow bezels. However the top and bottom bezel is still petty much visible and houses the usua features. The Pro version comes with a bigger 6-inch HD+ IPS LCD capacitive touchscreen for big screen lovers. Boasting of 1440 x 720 pixels in resolution and 268 pixel per inch density. The screen stretches up to 76.7% screen to body ratio. Working underneath is the Snapdragon 425 chip from Qualcomm with Quad-core processor and 64-bit CPU architecture. The 4-cores of processor here reaches an impressive speed of 1.4GHz with 28nm process technology. The Adreno 308 graphics processor from Qualcomm handles graphics. Motorola is giving those on a budget a chance to experience this big screen wonder. There are two versions in terms of RAM and storage space, the standard version comes with 3GB RAM and 32GB storage. While the cheaper variant has 2GB RAM and 16GB storage. The Motorola Moto E5 Plus runs on Android 8.0 Oreo out of the box. The 12MP rear shooter has f/2.0 aperture and 1.25µm pixel size and captures quality photographs as well. The camera supports phase detection, laser autofocus, Geo-tagging, touch focus, face detection, HDR, panorama and has a LED flash. While the dual selfie camera is a 5MP + 8MP shooter with f/2.0 and f/2.2 aperture respectively. There’s also a front LED flash for night selfies and video calls. Powering the Motorola Moto E5 Plus is a 5000mAh non-removable Li-Ion battery with fast charging technology. With the fast charging feature, it shouldn’t take up to 2.1 hours to fully charge up the battery from 0% to 100%. 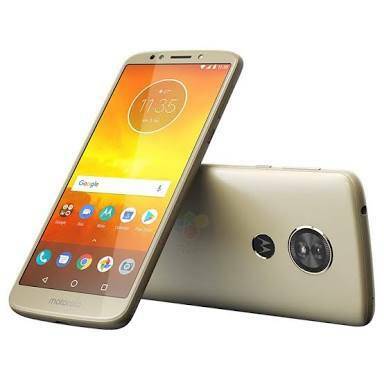 The Motorola Moto E5 Plus is available on Shopping stores from $199 (N70,000) to $249 (N90,000). Click on the links above to view the latest Motorola Moto E5 Plus price & availability on Shopping stores. Good Review…The reviews of Moto E5 Plus are really honest. The great thing about this smartphone is it has Good Battery Life. Thanks for sharing such a nice reviews with us. Looking forward for more post like this!